Aretha Franklin, the American singer known to millions of fans around the world as the “Queen of Soul,” has died at the age of 76. Franklin passed away Thursday in her hometown of Detroit, where she had been under hospice care after a long battle with cancer. 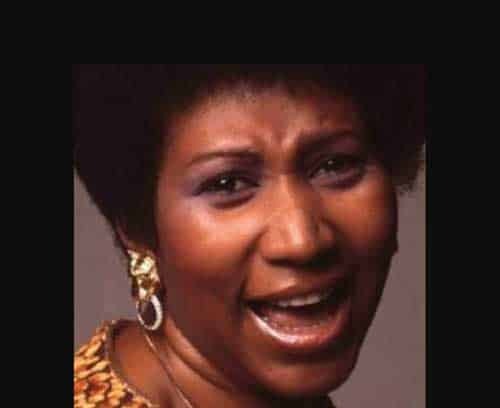 Born March 25, 1942, in Memphis, Tennessee, Franklin was raised in Detroit, where her father, C.L. Franklin, was a popular preacher. Her talent was recognized at a young age as she played piano and sang hymns at his church services. She rocketed to national fame that year with a series of hit singles, including “Chain of Fools,” “A Natural Woman,” and her most famous song, “Respect,” her first No. 1 hit on the Billboard Hot 100. She eventually racked up more than 110 entries in Billboard magazine’s charts, the most by any woman in the magazine’s history. In 1987, Franklin became the first woman to be inducted into the Rock & Roll Hall of Fame. Franklin struggled with weight and health problems, but even in her older years, her soaring voice remained a thing of wonder. She made headlines again in 2016 when she sang a four-and-a-half-minute rendition of the U.S. national anthem before a Detroit Lions football game. Paul McCartney was among those paying tribute to Franklin on Thursday. “Let’s all take a moment to give thanks for the beautiful life of Aretha Franklin, the Queen of our souls, who inspired us all for many many years. She will be missed but the memory of her greatness as a musician and a fine human being will live with us forever,” he said on Twitter.